Made of die-cast aluminum, this LED black spotlight is a great way to illuminate gardens or plants. Use this outdoor spotlight to illuminate gardens or pathways or for safety purposes in a walkway. This light features a black finish and an energy efficient LED design for savings and convenience. The LED has a long life, so no more time-consuming bulb changes. And, because it uses so little energy, you can have more lights on your transformer/system. Built-in, energy-efficient 4 watt LED: 3000K color temperature. 340 lumens, comparable to a 35 watt incandescent bulb. Black finish over cast aluminium construction. 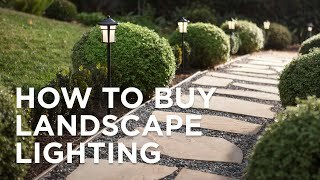 Landscape spotlight is ideal for pathway or garden lighting. Similar to unit being replaced. Price is reasonable. Delivery is quick. I have Hampton Bay Rock lights for years now and every spring a few of them need replacing. Rusted, full of water- bad news!! Hoping for better with yours. Purchased these lights in the past and they work great. Wonderful effect to the yard. Replacement for same broken item. I HAVE A SET BUT ONE LIGHT BROKE. I have purchased four of these and they are great. They emit a very appropriate light. I've been looking for spots to add to light up some trees and other areas around our house. I've been searching for a while. I missed ordering them last month when they were on sale, kick myself for not deciding quicker. Wanted low voltage lighting to save on electricity costs. Read the reviews and figured I'd give them a shot. hoping the quality is better than the ones I buy at home depot and lowes that don't last very long. Price and needed wattage with a led with the desired light color output. I have bought them before... works great at a great price. I am replacing old ones in the yard. BEST ANSWER: Hi - These are non-dimmable. Does this light come with wire and a quick connect? BEST ANSWER: Each light includes plenty of lead wire, but they do not include the quick connect feature. We recommend using the gel-filled low voltage wire connectors Style #5G986 which come in a convenient bag of 20 or 100 pieces. Thanks but what type of connection? seeing as it is low voltage you can use water proof wire nuts or just a good crimp connector. after the connection is done i wrapped mine with electrical tape. I want a pair of two led lights with transformer from dawn to dusk? BEST ANSWER: Hi - you can purchase a pair of these and the recommended transformer is Style #2N754. I have added a picture and link below. What type of warranty comes with this light fixture? BEST ANSWER: The item comes with a 1-year warranty. What is the rated life of the lamp? Thanks for the info Juan. Sounds like 10-15 years at 6 Hr/day landscape lighting usage. Naturally lamp life depends on usage .I have had mine for over two years and use 4 hours per night and still going strong. Can it be plugged in or does it have to be wired in? BEST ANSWER: This item is a wired lamp. The wire then leads to a transformer to which steps down the voltage to operate the light. Can the LED lights be replaced? BEST ANSWER: The LED light is integrated and cannot be replaced. NO, custom light inside. Best part is that it's sealed and does not leak, like other fixtures available. Are the LED LIghts included? Same light fixture equal to a 50 watt MR16? BEST ANSWER: Hi - this design is close, but is comparable to a 35 watt MR16 bulb. What is the difference between #2w571 and#2c5o2 ? BEST ANSWER: The design of the lamp and size are different. Style # 2C502 measures 7 1/2" High and has a light output of 340 lumens. Style # 2W571 measures 9" High and has a light output of 330 lumens. BEST ANSWER: Yes, they are designed for outdoor use. These are above ground lights, rain proof yes. Does this light come with a ground spike? BEST ANSWER: Yes they do come with ground spikes, and they produce an amazing amount of light...so superior to the previous incandescent fixtures they replaced! Yes this item does come with a ground stake. BEST ANSWER: This fixture is not dimmable. Do you sell a riser for this spot light? BEST ANSWER: Unfortunately, we do not sell a stem to raise the light up higher. we installed these lights on the front of our home as landscape lighting on the house. they installed very easily and look wonderful. we were amazed that in just about 2 hours of work we had all of them installed and was sitting back relaxing. I needed a simple LED fixture to light the wall-mounted sign in front of my business. This is exactly what I was looking for. These lamps are poor quality. 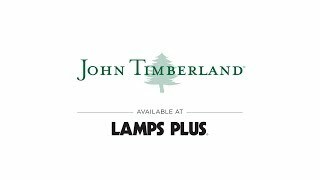 BE AWARE OF LAMPS PLUS'S 60 DAYS, NO EXCEPTIONS, RETURN POLICY. I wish I had been aware of it at the time I received the lamps. I bought 4 of these lamps believing I was saving money by not buying slightly more expensive lamps. That was a bad decision. The lamps are flimsy. And one of them burned out after less than three months of use. I have since purchased replacement lamps that are of considerably better quality for about just $10.00 more a lamp. I regret having wasted money on these lamps. Great to use throughout the yard! Our lamps arrived fast and work great. 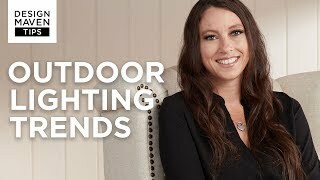 My wife and I had been searching locally for quality landscape lighting at a reasonable price. We gave up searching around our home and started shopping on the internet. Within 15 minutes we found the Lamps Plus web sight and instantly feel in love with the Low Voltage 7 1/2 inch LED Landscape Spot light. 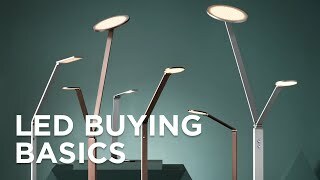 Sure there are local stores selling similar product but could not compete price as Lamps Plus. I purchased three of the above lights and am absolutely ecstatic about how bright and accent the features on the front of our house like never before. And as far as service, l talked to one of the employees inquiring about other lighting products and he was the most polite and obliging person that I would rate their service three stars more than a five star score. Thank you so very much and I will be visiting with you again this spring. Lee and Karen Elam... . I purchased two of these lights to illuminate the Ravenna fountain I also purchased from Lamps Plus. They're just right, bright enough to light my fountain up perfectly! I would definitely recommend these. This product was very easy to install and came with waterproof wire nuts. It appears to be well built and I expect to get many years of enjoyment out of it. It has made such a huge difference in my back yard at night. Out of five(5) that were bought Four (4) failed! The one that worked was bright and covered the area required. due to the four that failed, I'm not sure how long they will last! Hi Russ R., so sorry to hear about four of your lights failed. We'd like to learn more about what happened, so please reach out to our customer service team via phone, email, or chat. Thank you. Great spot lights for flower bed trees.